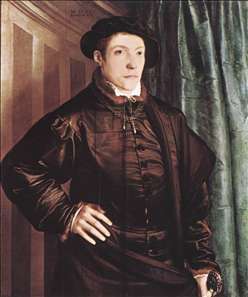 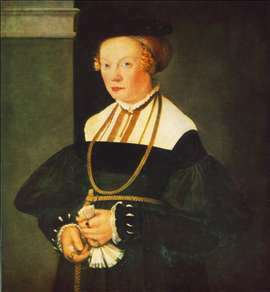 Amberger was an Augsburg portrait painter whose works resemble those of Holbein, but with a strong Venetian influence, perhaps due to Paris Bordone, who may have visited Augsburg in 1540. 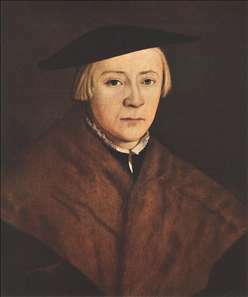 There is a signed altarpiece of 1560 in St Anna, Augsburg, but the only signed portrait by him seems to be the Emperor Charles V (Berlin). 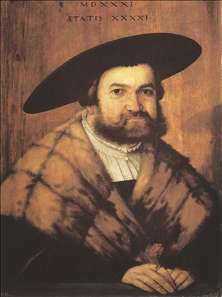 There are works in Augsburg, Birmingham (Barber Institute), Glasgow, Munich, Philadelphia (Johnson), Toledo, Ohio, Vienna and York. 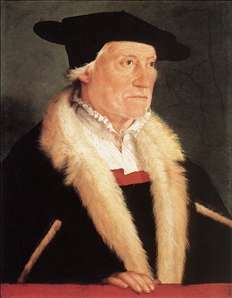 See more details about "Christoph Fugger"
See more details about "Goldsmith Jörg Zürer of Augsburg"
See more details about "Portrait of the Cosmographer Sebastien Münster"
See more details about "Portrait of Felicitas Seiler"
See more details about "Young Man in Fur"